Iran's Central Bank has announced that the electronic information of 3 million customers of 10 Iranian banks have been compromised. These banks now require their customers to change their ATM pin numbers before they can access their account. This has caused a rush to the ATM machines by the worried customers. The hacker was identified as Khosro Zare', a former bank-system specialist in Iran who recently left the country.Zare' claimed in a blog that he hacked the PIN codes to highlight the vulnerability of Iran's banking system. According to the report, the hacker had provided the managing directors of the targeted banks with information about the bank accounts of 1000 customers in the previous Iranian calendar year (ended on March 19) to warn them about the susceptibility of their computer systems and networks to cyber threats. But Central bank officials had earlier downplayed the reports, saying that "the threat to Iran's banking system is not serious." Finally to proof the Vulnerability he dumped the account details of around 3 million individuals, including card numbers and PINs, on his blog ircard.blogspot.ca. 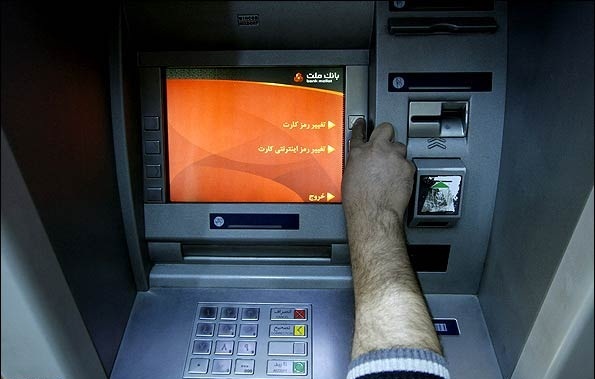 At least three Iranian banks (Saderat, Eghtesad Novin, and Saman) have already sent text messages to their clients, warning them to change their debit card PINs. The warning was repeated on state TV channels.